SCDNR - SC Bat Watch! Join us for Bat Watch Training! Sat May 18th, 8 p.m.
Bring a folding chair and download a free tally counter app to help you keep track of the bats! Most likely you've observed bats flying in warm weather over a body of water, a field, or even a road. Have you ever been curious about where those bats spend the day? Female bats of some species form maternity colonies in manmade or natural structures to raise their pups, and use bat boxes, old houses or barns, tree cavities, or even old mines. Now you can help bat biologists with SC Department of Natural Resources find and count bats emerging from their daytime roost! 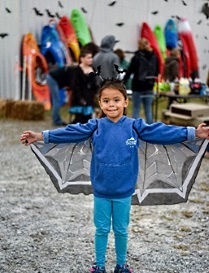 SC Bat Watch is a citizen science project in South Carolina that monitors bat roost sites. This project involves counting bats emerging from a maternity roost twice (or more, if you want to!) during the summer. The lack of basic information about many bat species is often due to how challenging they are to study. Sadly, we do know many bat species in North America have been drastically declining due to White Nose Syndrome (WNS), a devastating fungal disease. Of the 14 species of bats found in SC, eleven are considered species of greatest conservation need. A few of these species have been known to utilize bat boxes and man-made structures for their maternity colonies (ex: Little Brown Bats). By helping monitor roosting bats, you will be collecting valuable information on both common and at risk-species. Anyone can participate! If you know of a maternity colony of bats you can count at least twice during the summer, you can participate. Since most bat colonies are on private land, we rely on land owners and volunteers to report colonies and conduct emergence counts. Emergence counts should be conducted when the temperature is above 60°F. SC Bat Watch project offers 2 levels of involvement: If you choose to be a Bat Tracker, conduct 1 count within each timeframe below. Bat Enthusiasts count at least 2 times within each timeframe. The first range of dates = pre-volancy; pups are not yet flying. The second range = post-volancy; pups are flying and will be included in the emergence count. Read the Bat Watch instructions, data sheets, and bat ID guide. You have the option of entering your count data in the field or at home using: 1) Survey123 App, 2) web browser, 3) email or 4) mail. See Data Submission section at the bottom for more info. Please submit 2 or more counts by September 1 of the same year to receive your free SCDNR Bat Watch decal! 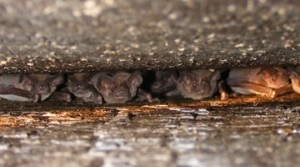 If you want to share the info on this project with others, download the SC Bat Watch summary. Important: Bats are a vital part of our natural ecosystem, servicing as a natural pest controller and pollinator. Look and learn about these wonderful animals from a distance -- Never touch a bat! In the United States, cases of human rabies is extremely rare, with only 1 to 3 cases reported annually (CDC, 2017). In the last 10 years, South Carolina contributed less than 2% of all national rabid cases in animals. Within this same time frame, bats were reported to be the 4th most likely source of rabies within our state (8% total cases) after racoons, skunks and foxes. 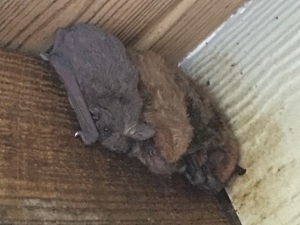 If you find a fresh (not decomposed) dead bat, please contact Jennifer Kindel (864-419-0739, BatWatch@dnr.sc.gov immediately. If you are concerned about potential rabies exposure, please contact the SC Department of Health and Environmental Control. Do you know of an existing bat colony? Great! To use that colony to participate in Bat Watch, print out the data sheets and get ready for your count. 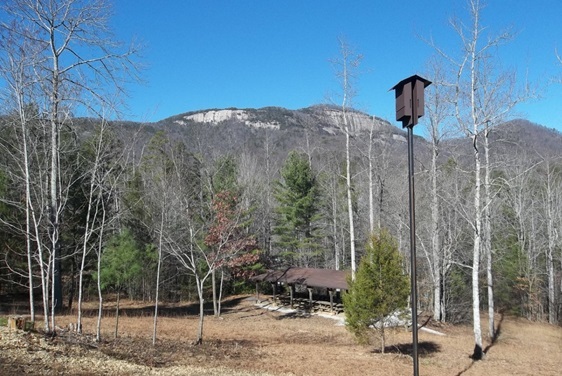 If you can't commit to more than one count per year, simply report your bat box/roost online at SCDNR. 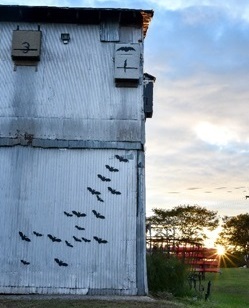 No - Consider putting up a bat box to provide a home for bats in your neighborhood. Bat Conservation International (BCI) offers plans for building your own bat box, links to businesses that offer bat boxes that have met the standards of BCI's Bat Approved Certification Program, as well as helpful tips for where to place your bat box. Also, consider checking with your local state park – they may already have a bat box and might be willing to let you conduct an emergence count. You can now use the free Survey123 App to enter your Bat Watch data in the field! You only need to follow Steps 1 – 4 once. When you conduct do your second (and future) counts, just open the app and select the 'SCDNR Bat Watch Form' to begin. Step 1: If you opened the Survey123 App upon downloading, close it. Step 2: Open this link with any browser. Step 4: You will be asked to Allow Survey123 to access your location. You can choose 'Only While Using the App' so your phone can instantly input the Roost Location latitude and longitude. If you choose 'Don’t Allow,' when you enter the Roost Information you’ll have to select the actual roost location manually on the map. Step 5: Begin collecting data, referring to our SC Bat Watch! instructions. When finished, select the checkmark on the bottom right and then 'Send Now' to have the data submitted to our database instantly. Fill out all the fields in the form with a red asterisk (*). Otherwise, you won't be able to submit at the end. Use the left and right arrows at the bottom to navigate between the 4 pages of the form. If you select 'Send Later' when finished, it will save the survey in the Outbox. This can be done if you want to double check something before submitting. If you select the 'X' at the top left hand corner of the form, you have choices to delete it (lose changes), Continue, or Save as a draft. Step 1: Open the form online. Step 3: Begin collecting data, referring to our SC Bat Watch! instructions. When finished, click Submit to have the data submitted to our database instantly. Fill out all the fields in the form with a red star *. Otherwise, you won’t be able to move to the next page. Use the Next button on the bottom left to navigate between the 5 pages of the form. If you close the window before submitting, no data will be saved. There is no option to save as draft. Email a picture or scan of the paper data sheets to BatWatch@dnr.sc.gov OR send them via mail to Jennifer Kindel, SCDNR, 124 Wildlife Drive, Union SC 29379. 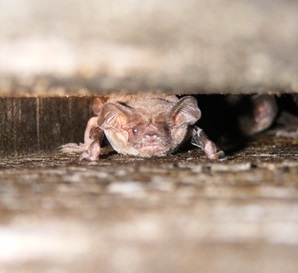 Jon Gillespie has kindly provided a video of Brazilian free-tailed bats emerging from boxes at Sunrift Adventures below. How many bats can you count? In the field, each person would be assigned one box, so count one box at a time. Beware, the middle one is a challenge! The total tally is located at the very bottom of this page to check your numbers. Pro tip: bring a tally counter or use a free tally counter app to help you keep track.